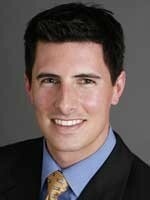 Nick Coccimiglio is a comprehensive settlement planner in San Francisco. He is a Certified Structured Settlement Consultant, a registered investment advisor representative, and a member of the Sudden Money Institute. He is the founding consultant of Millennium Settlement’s San Francisco office and specializes in advising the recipients of recoveries in personal injury, employment, and other third-party liability cases. Contact him at ncoccimiglio@msettlements.com.